The NMVFO held a training workshop for trail work on March 17, at a meeting room provided by REI. Even though I have gone to a few projects, I thought it would be useful to take the class and learn some of the finer points of trail work. 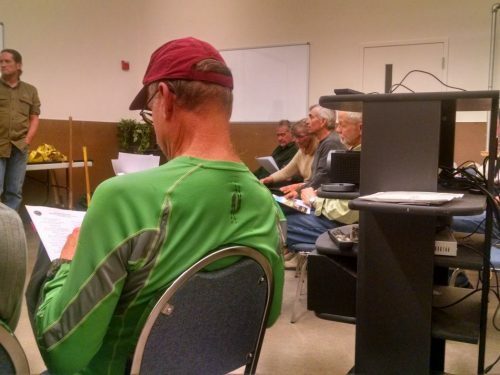 Chris, Larry, and Ed were speakers, and a good quality Forest Service video helped with the instruction. 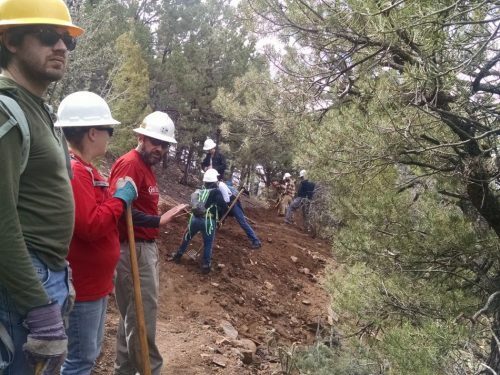 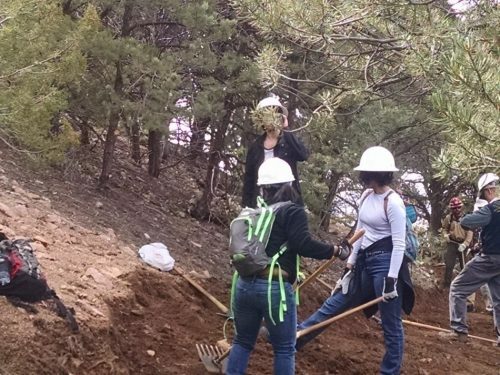 The NMVFO joined with the Friends of Piedra Lisa to maintain trail in the Sandia Mountains above Albuquerque on March 6, 2016.